Can You Temporarily File Exempt on W-4? Can You Elect Not to Have Taxes Taken Out of Your Paycheck? 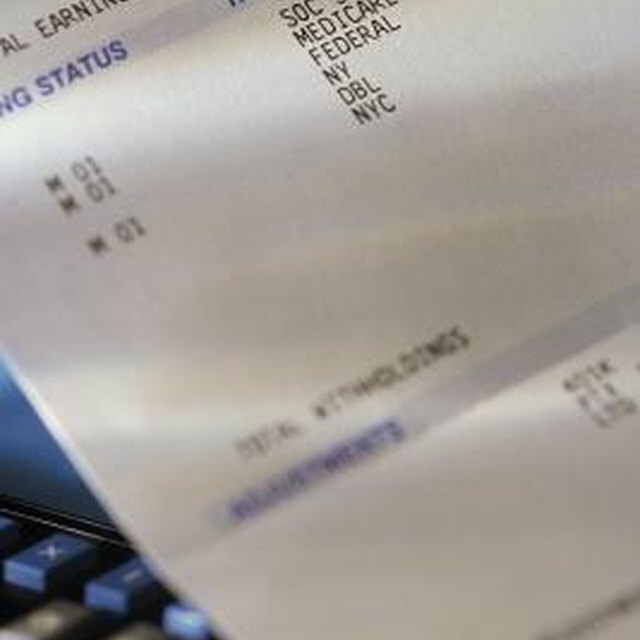 The federal government expects taxpayers to pay income tax as they receive income, so it requires employers to withhold an estimated amount of tax from each paycheck. The estimate on how much to withhold is provided by the taxpayer on IRS Form W-4. There are certain circumstances when you can designate yourself as exempt from withholding on your W-4, but you should only do this when you fall within federal guidelines for this designation. Although it is possible to temporarily file as exempt, you must first ensure that you satisfy all IRS requirements for doing so. Failure to meet IRS regulations could result in financial penalties. According to the IRS, you can claim withholding on your W-4 if you were not required to pay any taxes in the previous year and received a refund for all federal income tax withheld. You must also expect to have no tax liability in the current year. If you meet the requirements for the previous and current tax years, you still must submit a W-4, but you are allowed to write "Exempt" on Line 7. You can continue to claim this exemption through February of the following year, when you will be required to submit a new W-4. There are a variety of reasons for wanting to temporarily file as exempt on a W-4. For example, perhaps you are about to leave a job and know that your income for the year will be reduced, so you want to avoid having income tax withheld for your last few paychecks. The problem here is that you might not be eligible to be exempt from withholding in the eyes of the IRS. Unless you satisfy the IRS requirements, you should not attempt to temporarily claim that you’re exempt from withholding on your W-4. If you have income that’s not subject to withholding, such as dividends, interest or rent, the IRS expects you to make periodic payments for your estimated taxes throughout the year. These payments are also needed if you don’t have enough income withheld from your salary. Many taxpayers who have a job, as well as additional sources of income, avoid estimated tax payments by claiming a higher number of withholding allowances on Line 5 of their W-4. What Percent of Federal Withholding Is Taken Out of Checks? Who Can I Claim as a Dependent on My Income Taxes? If you claim that you are exempt on your W-4 and end up owing taxes for your income that year, the IRS may impose a penalty for underpayment of taxes. The underpayment penalty may be applied if the amount withheld and paid throughout the year represents at least 90 percent of your tax liability or 100 percent of your tax liability for the previous year. For those whose adjusted gross income (AGI) is more than $150,000, you must have withheld and paid 110 percent of your tax liability for the previous year.